Even thought the Microsoft Surface Hub has been available to pre-order since June of this year for $7,000, Microsoft seems to be having problems manufacturing them and shipping to customers, as the official launch date has once again been pushed back. Originally the Surface Hub was expected to be shipped during September of this year but was then pushed back to January 2016 and now has been pushed back once again to sometime in Q1 2017. 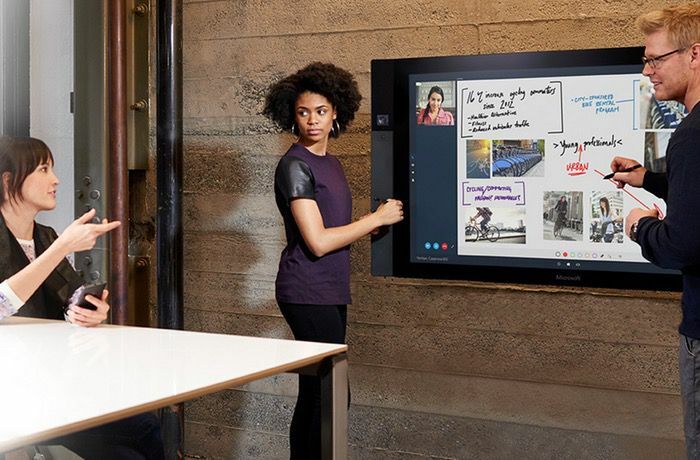 Microsoft has also announced that the price of the huge presentation board will also increase buy $2,000 of each model, making the 55 inch model now $8,999 and the 84 inch Surface Hub now $21,999. Specifications for the new Surface Hub hardware have still yet to be confirmed but its thought the 55 inch model will be equipped with a Core i5 processor and offer a resolution of 1920 x 1080 pixels. While the 84 inch Surface Hub will offer a resolution of 3840 x 2160 pixels and be powered by a Core i7 processor supported by NVIDIA graphics, both versions will be fitted with 8GB of RAM and 128GB of solid state storage internal storage. As more details become available we will keep you updated as always.